I want to give credit to Toby Hewson who gave me this idea: What I learned from the Gods of Fantasy? I have learned from many authors, not just the craft masters, but this post will focus on the select few. Terry Pratchett taught me about invention of an old theme. He created a world that was fantastical and yet so familiar. His satirical approach to Discworld was always engrossing and we welcomed familiar themes as they surfaced among the new ideas in each new novel. 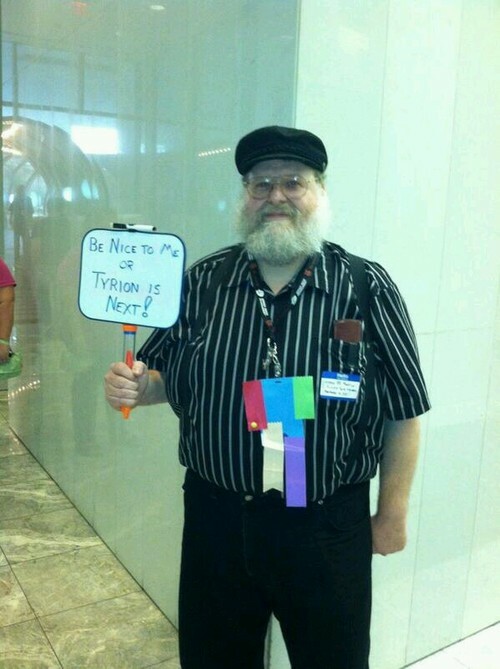 George RR Martin taught me about depth of character in supporting roles. There is no excuse for making every single character special or unpredictable. It does not have to happen immediately, but when a character steps from the limelight to center stage, we are enthralled, but not totally surprised. This is a huge task for anyone and Martin does it with a thousand characters. I have mentioned before how much I have learned from him. Okay, I have also taken his name in vain, but I am full of respect for him. Stephen King taught me about simplicity of language and being accessible to readers. I am too much of a wimp to appreciate his stories, but On Writing is my writing Bible, and required reading…annually. J.R.R. Tolkien taught me the opposite. It is possible to write elaboration, flowery, delightful fantasy prose. Can you describe a forest in three pages? Y’betcha and they will even make it into a movie or six. Tolkien also taught me the importance of giving my fantasy world a sense of history and leveraging that throughout the saga. Terry Brooks taught me about having a well-worked story that had no loose ends or unnecessary scenes so the story flows. Brooks also has built a rich history of his world – Shannara – and a genealogy that excites his many followers. Again, his writing is very balanced between plot (action) and character development. 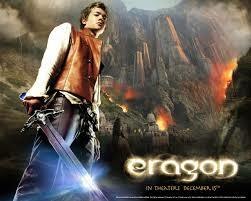 He has the ability to give a strong and distinctive voice to each of his main characters. Terry Goodkind is edgy without going over-the-top. His stories are simpler, but he adds little traits to make his characters familiar to us and a great job bonding us to them. R.A. Salvatore taught me to create a rich world and non-stereotypical characters. His first Drizzt book takes place underground and is so impressive. I remember being blown away by it. I have not been disappointed going forward. There is much we can learn from these masters of our craft, but the most important one is READ, READ, READ. With the beautiful lights, the presents, the family gatherings and the never-ending food behind us, I want to take a moment and wish you all a happy new year. I am feeling particularly celebratory because I just wrote those magical words at the end of Wycaan Master Book 6 – THE END. It feels great, an end of an era for me, even as I now have two manuscripts to edit myself before sending each to my illustrious editor – probably just spoilt her new year! As I turn my attention to my marketing strategy for 2015, I have a request. It will cost you $2.99 and 5 minutes of your valuable time. I wish to submit Sacrificial Flame, which I think is my strongest novel in the series to a number of high-profile book review and promotion websites. What is holding me back is that I have not focused on getting reviews. I need 20 reviews for the novel to be accepted for certain programs and I have only accrued eight. Could you find time to craft a short review and put on Amazon? Sacrificial Flame can be found here and can be read before Books 1-3 if you have not read them. It transitions into the next generation and anything dependent upon the previous series will be explained. Thank you for being such great colleagues and supporters. I look forward to another great year ahead as a thriving writer’s community. 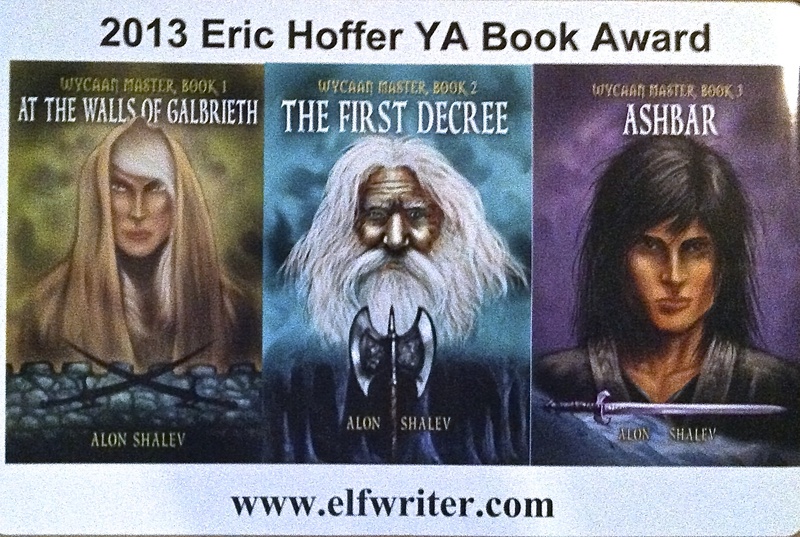 2013 Eric Hoffer Book Award Winner – YA Category. I realize I have a few posts written in 2014 more relevant to the writing process that I would like to share. Hope you enjoy. Happy Hols’. It is that time of the year. Here are 10 of the most popular Elfwriter blog posts from 2014. I hope you enjoy reading them as much as I enjoyed writing them. Happy Hols’. 4. 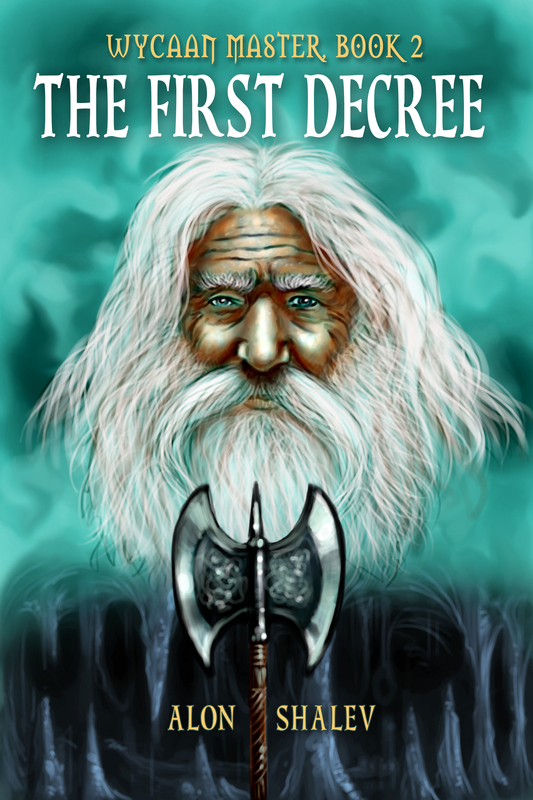 Happy Hobbit Day – http://wp.me/p1Xaeb-aH – relevant with the 3rd movie coming out this month. I admit it. I haven’t felt like this since the end of Harry Potter movie 7.2. I remember sitting in the movie theater watching the credits rolling and hoping for a hint that there was another series on the way. Anything to keep the dream alive. But the credits ended, the lights came on and I looked at the two boys who had snuggled up to me for eight years as Harry and co. had bespelled us, binding us together in an intense family experience. I comforted myself. At least there were the Tolkien movies: The Lord of the Rings offered three years of reprise and then, The Hobbit, that thin novella, sprouted into three movies over three years. 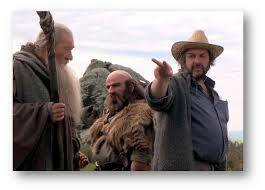 No problem with me that most of the movie content came from other books – Tolkien purist that I consider myself. 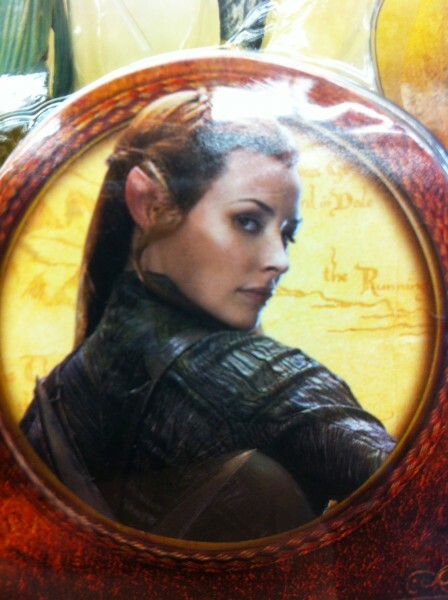 A female elf (an elfe in the Wycaan Master series): a warrior at that? Bring her on. And I know that the lights will come on and, after six Middle Earth movies, we will stretch our limbs (some considerably longer than they were six years ago), and then what? Last year I was proud when my then 15-year-old told his friends that he would not join them to see the Hobbit movie – its one he’ll see with his old man. I might not be the best father in the world, far from it I’m sure, but I figure I must have done something right. 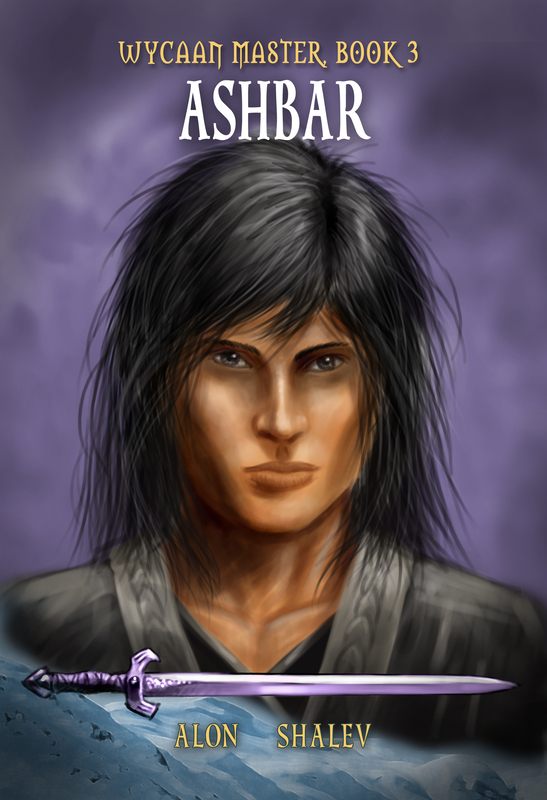 Worse yet, in ten days I will complete the first draft of Book 6 in the Wycaan Master series. I remember writing the first novel together, a half decade ago, with two eager boys sitting around a picnic table in a redwood forest. For five more years, I would read a new manuscript to them each summer vacation around the campfire or snuggled in my tent. 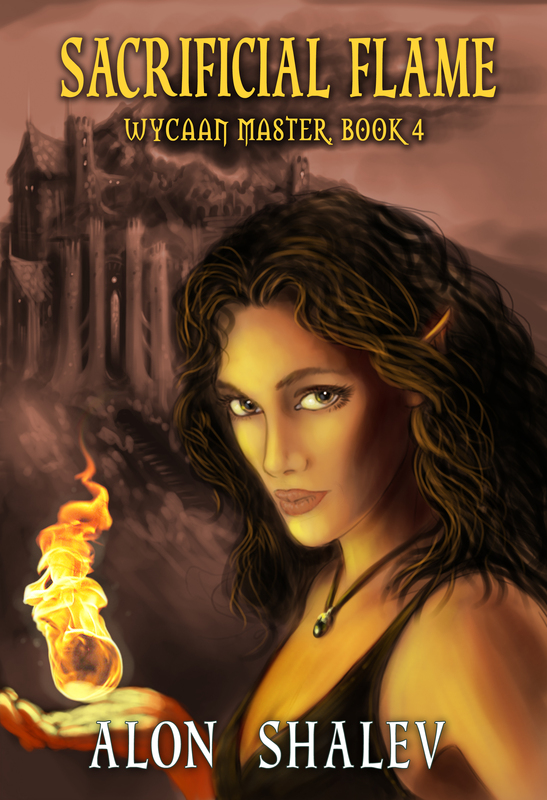 It ends this year … the Wycaan Master series that is essentially ours …and probably so much more. There will be more novels, perhaps another trilogy (are you reading this, Tourmaline Books? ), but there will be new characters and if I stay true to my sons, then they will be older and darker and all grown up. Just like my sons – post Harry Potter and post-Tolkien. The end of an era. A teenager visits his uncle and is impressed to see the older man’s den is decked out with epic fantasy memorabilia. There are boxed figures of elves and dwarves, swords on walls, a couple of helmets and more. 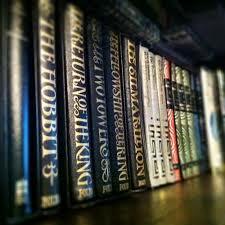 The boy walks along a wall lined with complete book collections of every greatest series. Now to be clear: I love the Peter Jackson movies, every one of them, and can’t wait to go this week to the final Hobbit movie. I have just lovingly brought my eldest son and wife up to date on the fourth series of Game of Thrones, the TV series, even though they both languish in reading Book 1. I am one of the 15,000 who signed the famous petition demanding a third Sword of Truth series from ABC and, just between us, mourn that Christopher Paolini’s Inheritance series never spawned more than one movie. Having said this, I do wonder whether we are nurturing a generation who are defining epic fantasy based upon the movie, rather than the book. When we watched the final episode of the fourth Game of Thrones series, something happened that was hinted about throughout the books (please no spoilers in the comments). Yet both my wife and son were perplexed, because the movies/TV series is never going to be able to capture the intricacies and subtleties. This week, we became a three-eReader family. It was a big decision, but an acceptance of the times. If I want my sons to read books, I need to bring them in a medium they expect – on screens. My Wycaan Master series, which, I assume, is read mostly by young adults, continues to sell far more ebooks rather than tree books. My eldest is excited to see the Maze Runner movie, having loved reading the books. That is, I feel, how it should be. But I also know that a new generation of Tolkien troopers, Goodkind groupies, and Dashner disciples, will grow up basing their experiences on the movies…and I can’t help feeling there is something missing. Have a great week – enjoy the final Hobbit movie.